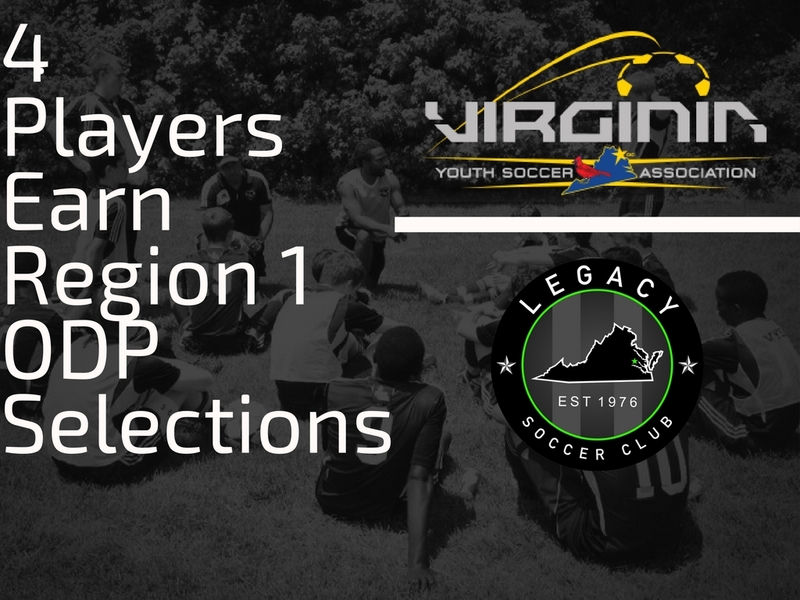 The Virginia Legacy would like to recognize the 4 players who were recently selected to be a part of the US Soccer Olympic Development Program (ODP) Region 1 player pool. These players were selected after months of training, games and camps to be a in a select group from all of Region 1. Region 1 covers all the states from Virginia/West Virginia – north all the way to Maine. Congratulations to the following players on their elite selection. The primary mission is to identify elite level Region I players and facilitate their selection to the U.S. National Team programs. The selection process takes place through state, regional, and national trials. The primary benefit to the player is to be able to try out, train, and play against the best players in their age group, allowing the best players to further their development as soccer players. Regional pools are selected at the conclusion of camp.